Desi Smith/Staff Photo. 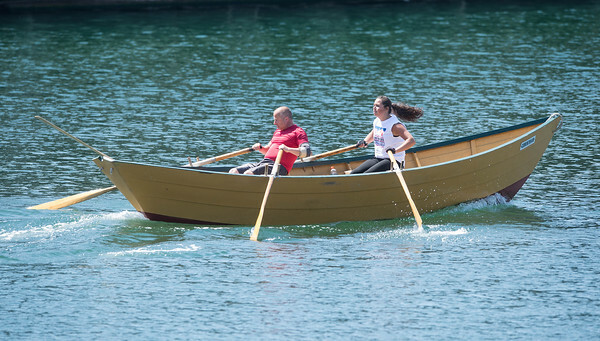 Team USA Bill Edmonds and Lily Jean Sanfilippo compete against Team Canada’s Robert Fox and Kelly George in the Mixed Double’s in the Inernational Dory Races held Saturday at the State Fish Pier. Team Canada came away with the win. June 20,2015.